Give the Ball to the Poet has been highlighted in the Guardian as part of their coverage of the CLPE Poetry Award 2015. It's such privilege to be included amongst this wonderful list of shortlisted titles. Congratulations to everyone involved and on the shortlist. Read the Guardian article here. 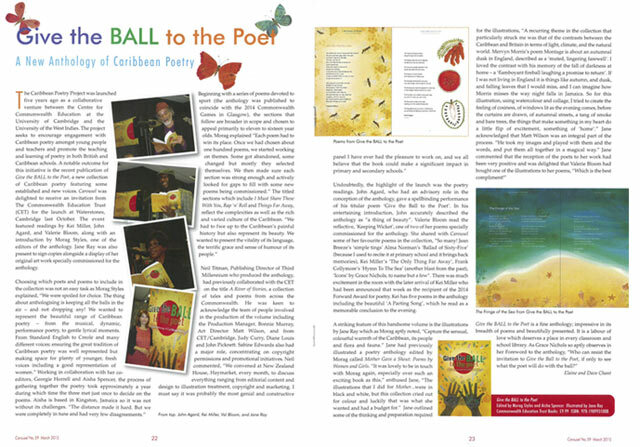 BREAKING NEWS - We are delighted to announce that Give the Ball to the Poet, our new Caribbean Poetry Anthology, has been shortlisted for the CLPE Poetry Award 2015! 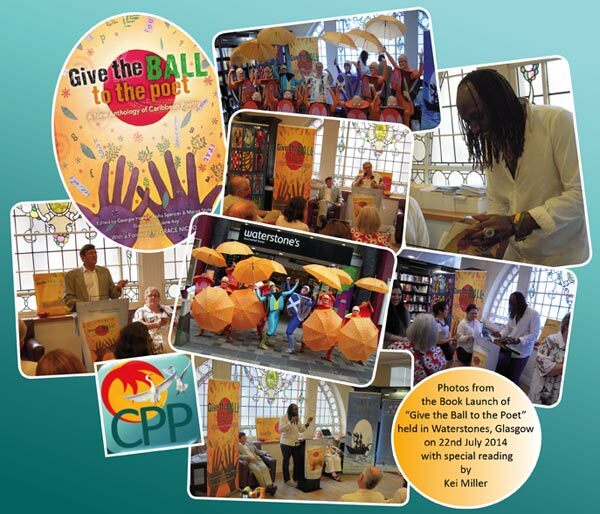 Photographs of the wonderfully colourful and evocative Glasgow and Edinburgh book launches now on the news page. 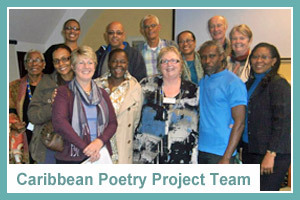 The Caribbean Poetry Project (CPP) was a pioneering collaboration between Cambridge University Faculty of Education, the Centre for Commonwealth Education, and The University of the West Indies at Mona (Jamaica), St Augustine (Trinidad) and Cave Hill (Barbados). The Centre for Commonwealth Education was closed in 2015. 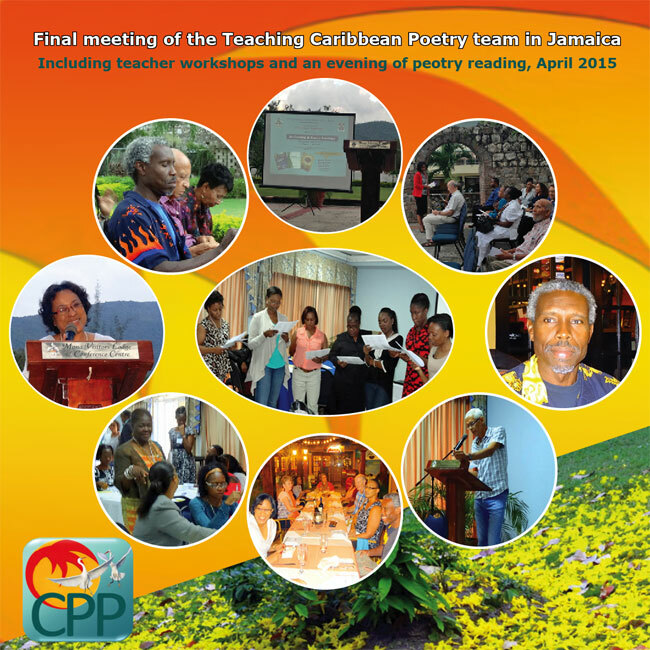 The CPP team is grateful for funding from the Commonwealth Education Trust (2010-2014). 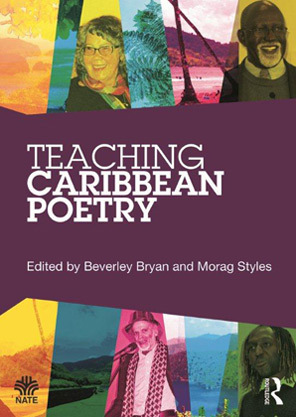 Through a joint research and teaching programme, the project encouraged engagement with Caribbean poetry, and improved the teaching and learning of poetry in both British and Caribbean schools.